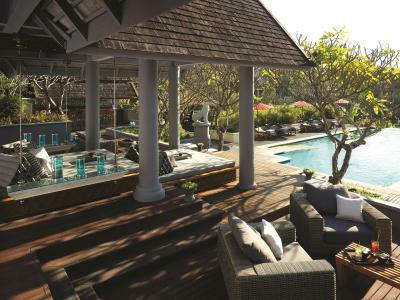 Lock in a great price for Four Seasons Resort Chiang Mai - rated 9 by recent guests. One of the best Four Seasons I have ever been to. Impressed by its thoughtfully designed local experiences. 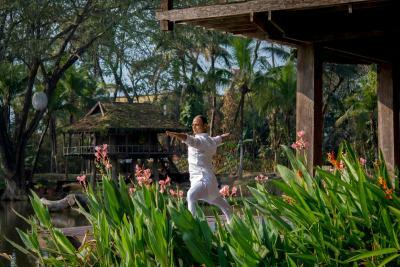 Guests can easily find quite interesting activities in the resort. The view is just amazing! I loved the room, the bed was extra comfortable. Also the poolside staff were attentive and very professional. 4 days was the perfect amount of time. Best hospitality ever! We were disturbed by construction noise near our first room and management shiftly prepared a new room. Staff were all very welcoming and warm. The chat app made the experience even better with real time responses. Will definitely make a visit again. 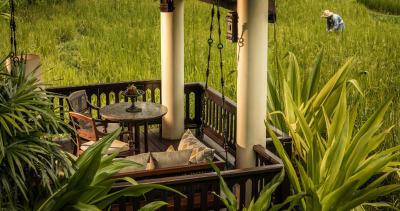 We were staying in a room with balcony facing the rice field, the view was spectacular. Enjoying the view and the breakfast at your own balcony is a must. Walking around the rice field was some real experience too. The yoga teacher was great and I would recommend trying the fire yoga. Overall the activities in the hotel are abundant and creative. The Sunday Brunch was worth trying. Heaps thanks to hotel supervisor Lucy, GG and chief Tor for their hospitality. We had an epic time. excellent staffs from sports club to reception to restaurant to pool everywhere we've been there was a consistent level of superior service, best we've experienced. sports club activities planning was fantastic, rice planting, muay thai, baffalo bathing were our favourite activities. The hotel was perfect! Everything was spot on. The food at the restaurant was very nice and authentic. The spa is a MUST! We didn't want to leave. 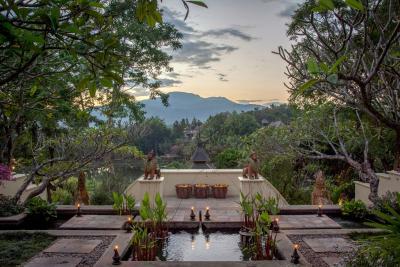 One of our top picks in Mae Rim.Four Seasons Resort Chiang Mai overlooks rice fields and mountains in Mae Rim Valley. 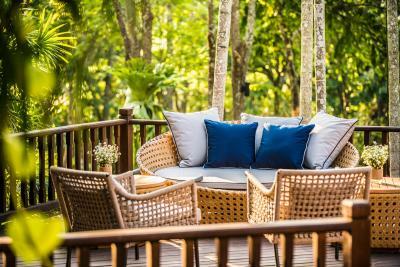 It features luxurious bungalows with outdoor living spaces. 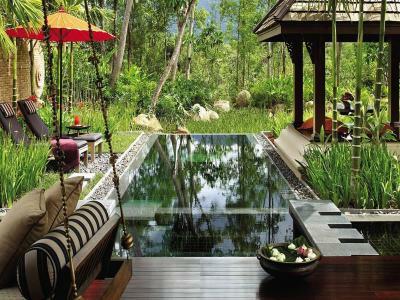 A spa and outdoor swimming pool is available. 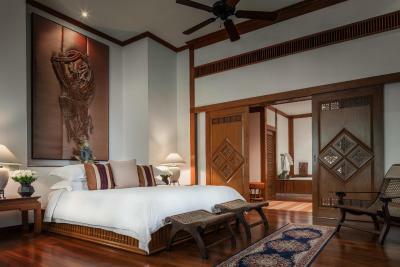 Four Seasons Chiang Mai offers bungalows decorated with original paintings and Siamese art pieces. 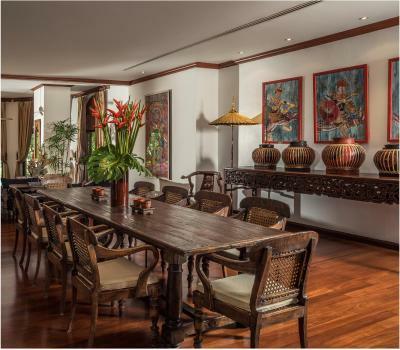 It has polished teak floors and rich Thai cotton fabrics. 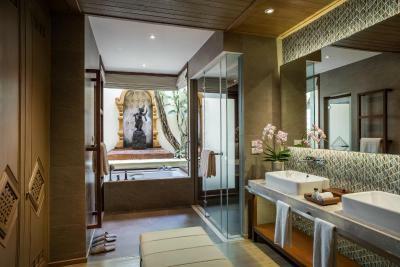 Private bathrooms overlook the garden and feature a separate dressing area. 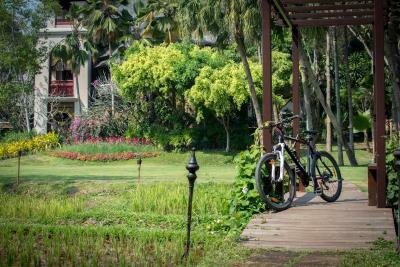 The resort features a well-equipped fitness centre. 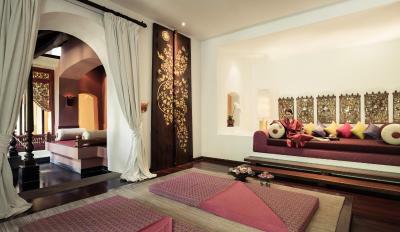 Guests can also make use of the tennis court or head for a soothing massage. Free bicycle rentals are provided. 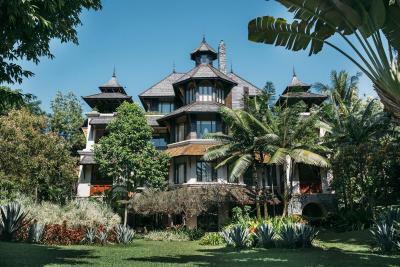 Other facilities include yoga and cooking classes and babysitting service, which are available with an additional cost. 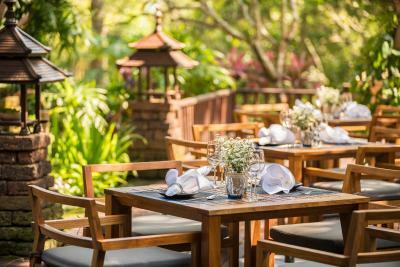 Guests can dine al fresco on the home-style Italian cusine at the open-air Terraces Restaurant while enjoying views of the surrounding rice paddies and distant Doi Suthep. 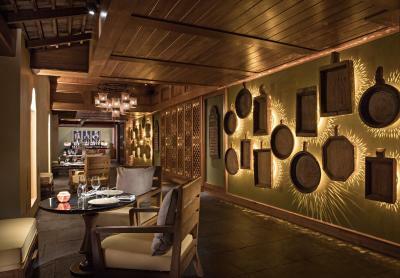 For a more relaxed afternoon and evening, head over to the Ratree Bar and Lounge to enjoy fine wines and signature cocktails. 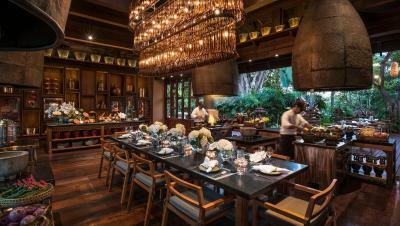 Private dining experiences and a 24-hour room service are also available. 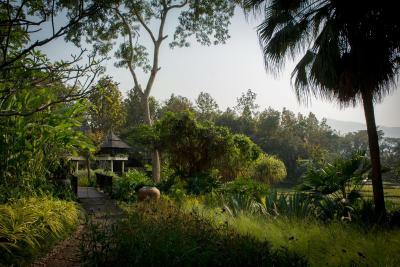 Four Seasons offers free shuttle service from Chiang Mai City, which is approximately a 1-hour drive away. 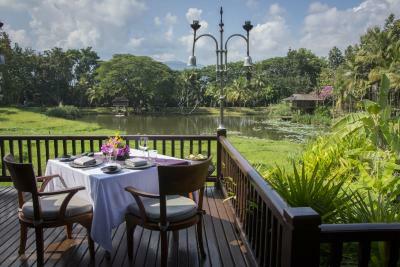 Four Seasons Resort Chiang Mai has been welcoming Booking.com guests since 20 Jan 2011. When would you like to stay at Four Seasons Resort Chiang Mai? 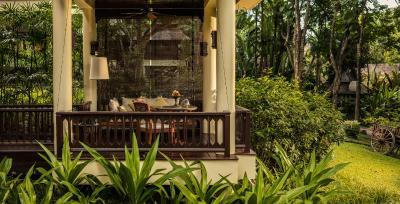 Surrounded by tropical gardens, the Garden Pavilion comes with a private outdoor Thai-style terrace (sala). 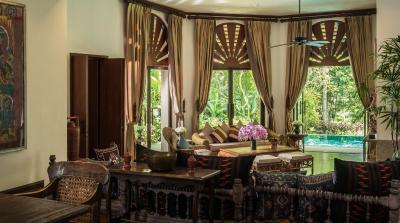 Situated on a upper-level, the room comes with higher ceilings and offers views of the lush garden. 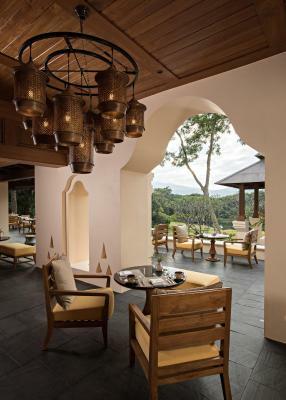 It also has a private outdoor Thai-style terrace (sala) that overlooks the property's rice paddy fields. 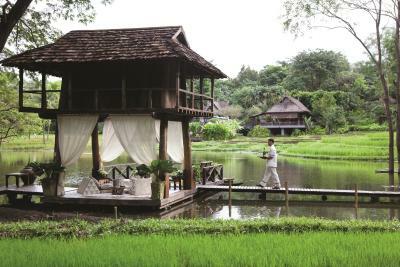 Housed in two-storey clusters of four, the Rice Terrace Pavilions offer a luxurious living space and a private outdoor Thai sala (terrace) with views of the resort's working rice paddy fields. 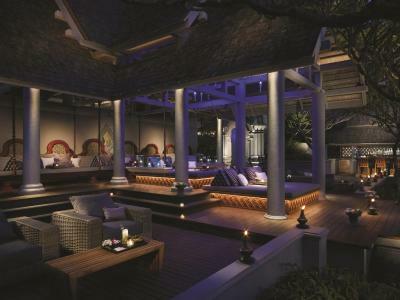 Housed in two-storey clusters of four, the Upper Rice Terrace Pavilions offer a luxurious living space with a vaulted ceiling and a private outdoor Thai sala (terrace). 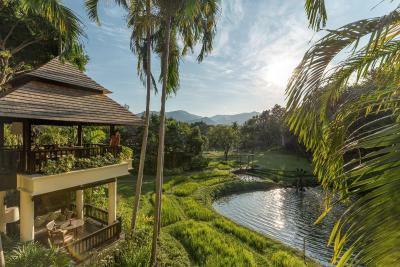 They feature spectacular panoramic view of the Suthep mountain range and the resort's working rice paddy fields. 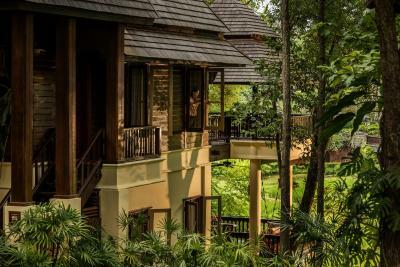 With views of the Suthep mountain range and tropical gardens, the one-bedroom Pool Villas provide maximum privacy while allowing easy access to all the resort's facilities. These luxury villas offer large indoor and outdoor living spaces.Guests can take a dip in the 24-square-metre private pool, or lounge on the sundeck. Spacious suite features two bedrooms with a king bed and two twin beds. 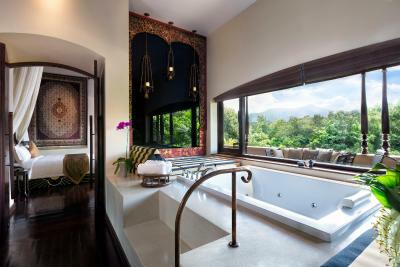 Spacious suite with two bedrooms offers a king bed, twin beds and a private plunge pool. 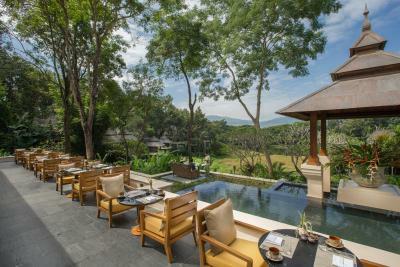 Spacious villa features a luxurious living and dining area. 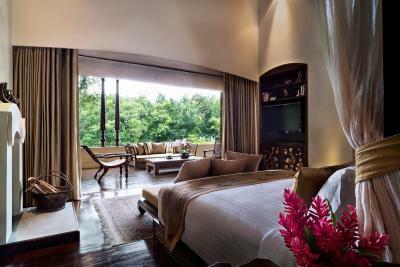 The bedrooms feature stunning views of the mountains and Chiang Mai countryside. 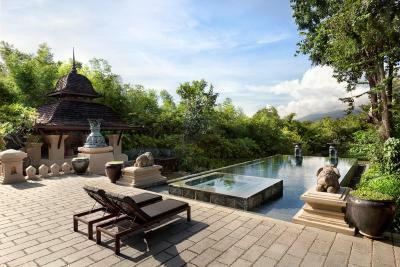 Spacious villa features three bedrooms, a private pool and a hot tub. 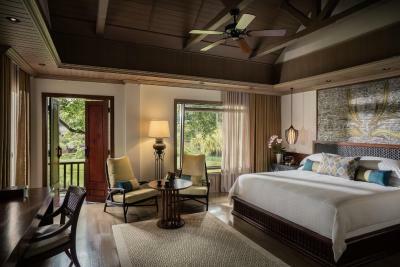 The master bedroom has a patio with views of tropical gardens and the surrounding mountains. 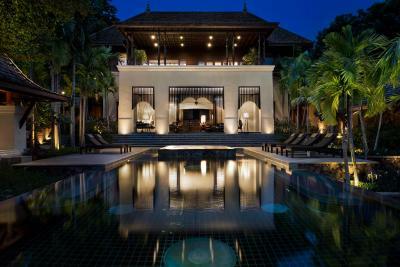 Spacious villa features four bedrooms, a private pool and a hot tub. 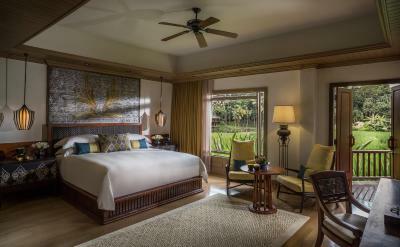 The master bedroom features a patio with views of tropical gardens and the surrounding mountains. This double room has a iPod dock, minibar and seating area. This double room features a flat-screen TV, iPod dock and sofa. This double room features a dining area, seating area and bathrobe. 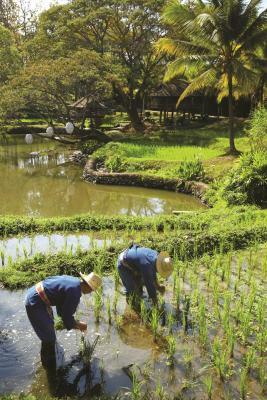 Experience the height of relaxation and authentic Thai culture on the terraced rice fields. 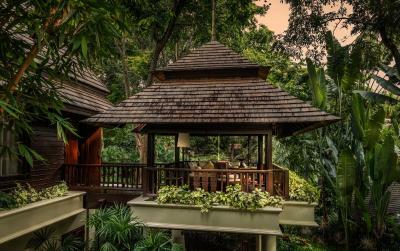 Enjoy signature spa techniques, traditional Thai cuisine and impeccable Four Seasons service from your spacious pavilion in the Mae Rim Valley. 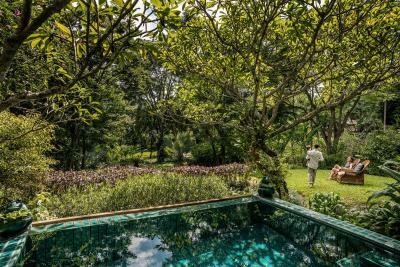 House rules Four Seasons Resort Chiang Mai takes special requests - add in the next step! 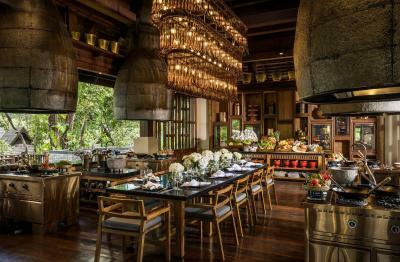 Four Seasons Resort Chiang Mai accepts these cards and reserves the right to temporarily hold an amount prior to arrival. Please note that the pick-up/drop-off point of the free scheduled shuttle service, from the hotel to Chiang Mai City, is in front of Dusit D2 Hotel. Restaurant choice was a little limited. After 4 days we would really run out of options. Balconies and bathrooms are not as clean as expected. The best out of everything is their healing effects. 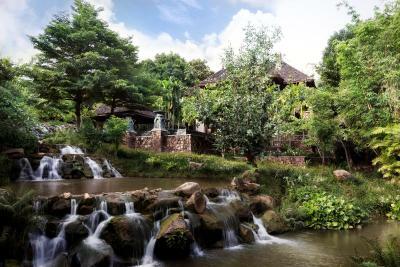 Nestled deep in mountainous area in upper Chiangmai, it offers a cooler, cleaner breeze and weather. Their therapists and masseurs are well educated and really know what their doing. 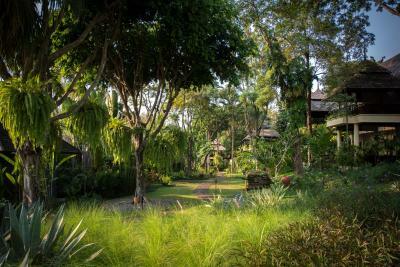 Yoga experience also great, and I love their yoga barn overlooking water and paddy fields. We stayed at Residence 10. I was booking the residence very early, it says max. 2 persons. I asked for extra bed for adult; they charged me a 3rd person but open another room in the residence, instead of setting up extra bed for us. We're not people who enjoy having butler around with us along the stay, as we are more private and we prefer to do everything by ourselves - but it's ok anyway. 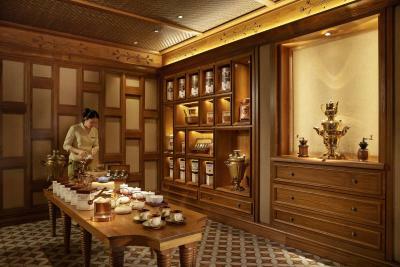 Breakfast selections are great and offers fresh local delicacies, although I expect more choices from a chain 5-stars. Their coconut jam is exceptionally light and yummy. Hospitable staffs are attentive and quick in response. 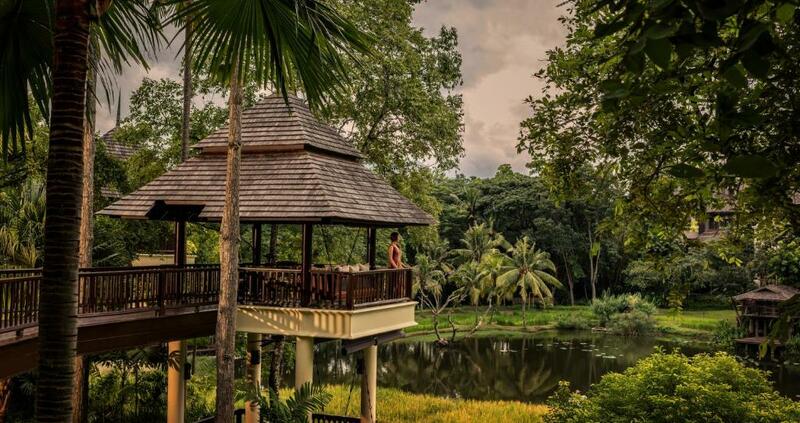 Having a beautifully maintained lush green surrounding, their balconies in the residence are great spots for spending time by painting or reading books. Too bad they not keeping it as clean as they keep their indoors. Some of the windows also not well maintained it stucks when you try opening - also too bad especially with their fragrant air right after heavy pouring rain. Very expensive food. I would not recommend anyone going to that hotel unless they are comfortable to spend at least 300 USD per day (on top of room cost).